After a year off, the Cubs returned to the World Series for the fourth time in five seasons, and came in rated as favorites over the youthful Athletics. The Series opened in Philadelphia, and Athletics right-hander Chief Bender was brilliant, allowing just one hit through the first eight innings. The Cubs finally broke through with a pair of hits and a run in the ninth, but it wasn't nearly enough as the A's annexed a 4-1 decision. Third baseman Frank Baker led the Philly attack with a run scored in the second inning, an RBI single in the third and a run-scoring double in the eighth that missed being a home run by about a foot. Game 2 saw the Athletics abuse Three Finger Brown, as they totaled 13 hits and nine runs against the Cubbie ace in seven innings. Jack Coombs went the distance for the A's to gain the 9-3 victory. 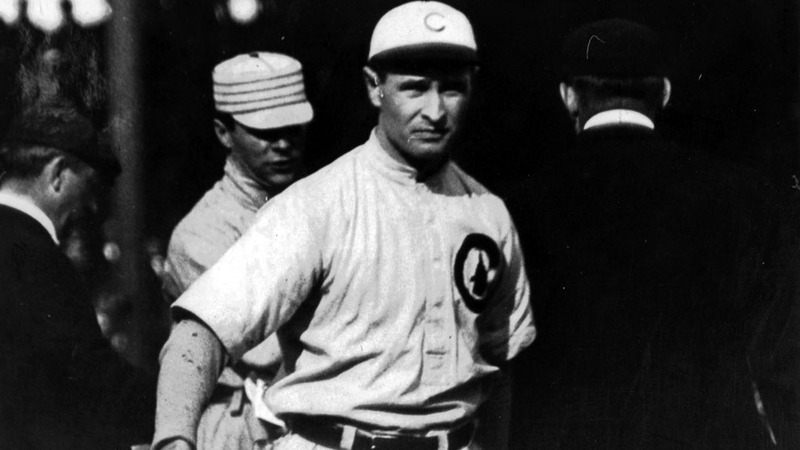 After a day off for travel, Coombs started Game 3 in Chicago, and was again the beneficiary of booming Athletic bats. The score was 3-3 after two innings, but Philadelphia scored five times in the third, then four more in the seventh on their way to an easy 12-5 triumph. Right fielder Danny Murphy, shortstop Jack Barry and Coombs himself each knocked in three runs apiece. The Cubs avoided an embarrassing sweep with a 4-3 victory in Game 4, but it wasn't easy. The deciding run scored with two outs in the bottom of the 10th, when Jimmy Sheckard's single to center scored Jimmy Archer from third base. Three Finger Brown earned the decision with two innings of scoreless relief work. Coombs, working on two days rest this time, started Game 5 for the Athletics, and once again he was good enough to beat the Cubs. The contest was 2-1 until the eighth, when the A's ripped Brown for five runs. Coombs wound up allowing nine hits, but retired pinch-hitter Johnny Kling to finish a 7-2 victory and the World Series.